Peaches are sweet, juicy, and everybody loves them. There’s nothing better than having a nice, juicy peach on a hot summer day. This lovely fruit is popular among children and adults alike. We eat peaches whenever we can, but rare are the case when we wonder about benefits they could offer us in return. But, it’s time to change that! 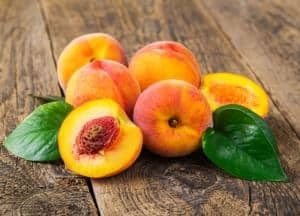 This post highlights some of the most important health benefits of peaches, and it’s only going to motivate you to eat this fuzzy-peeled fruit even more. It’s important to mention that peach is a good source of vitamins C, E, A, and K. This amazing fruit is also an abundant source of antioxidants that neutralize free radicals and protect us from oxidative stress and damage it would cause. 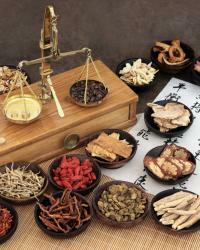 Healthy digestion is crucial for weight maintenance and overall health and wellbeing. Peaches can help you maintain healthy digestion thanks to fiber content. You see, the body needs fiber for proper digestion. Fiber also acts as an appetite suppressant that keeps you full for longer and prevents overeating. One medium-sized peach provides about two grams of the fiber where one half is soluble and the other insoluble. Insoluble fiber adds bulk to the stool and helps move food through the gut, thus reducing the risk of constipation. On the flip side, soluble fiber from peach provides food for good bacteria in your gut. Cancer is a severe disease caused by abnormal growth of cancer cells and it affects millions of people around the globe. 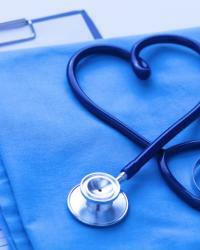 There are many types of cancer, but most of them are preventable. Peach can help you prevent cancer due to high vitamin C content. You see, vitamin C is also a powerful antioxidant which combats free radicals that cause cancer. Plus, high fiber intake is also important for the prevention of colorectal cancer. Now you have yet another amazing reason to keep eating peaches. Regular intake of fruit, including peach, promotes heart health. In addition, peaches may decrease the risk factors associated with heart diseases such as cholesterol levels and high blood pressure. 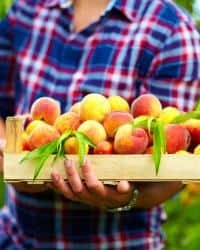 What most people don’t know is that peach may bind to bile acids, which are compounds produced by the liver from cholesterol. 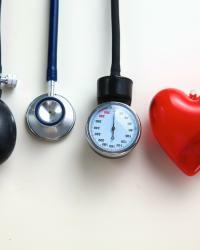 Then, they are excreted from your body via feces which may lead to lower blood pressure. All of us want healthy and glowing skin, regardless of gender. However, sun, unhealthy diet, lack of sleep, stress, and other factors may speed up the aging process and make our skin appear lifeless and dull. Eat a peach for healthier skin! Compounds found in peaches improve the skin’s ability to retain moisture. This leads to improved skin texture, enhanced smoothness, and youthful appearance. As we age, our eye health weakens which is why we’re prone to various problems affecting vision. Thankfully, higher consumption of fruits can decrease the risk and progression of age-related macular degeneration. 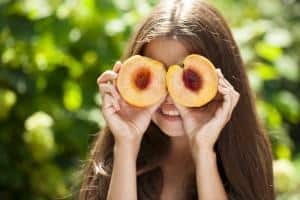 Peach is a wonderful example of fruits that are healthy for eyes due to vitamin A content. After all, vitamin A is one of the most important nutrients for healthy eyes and clear vision. Allergies are quite common, and they’re incredibly frustrating for most adults and children. You’ll be happy to know that eating peach can help reduce symptoms of allergy. How? Well, exposure to allergens releases histamines in the body. Histamines are chemicals that the immune system makes in order to eliminate allergens. However, histamines also trigger symptoms such as sneezing, coughing, and itching. Peach prevents the release of histamine and thereby reduces symptoms associated with allergies. Looking for a way to lose weight and keep it off? Then make sure your diet involves peaches too. This fruit with fuzzy skin is rich in fiber which suppresses your appetite and helps you eat less, which is crucial for weight loss. 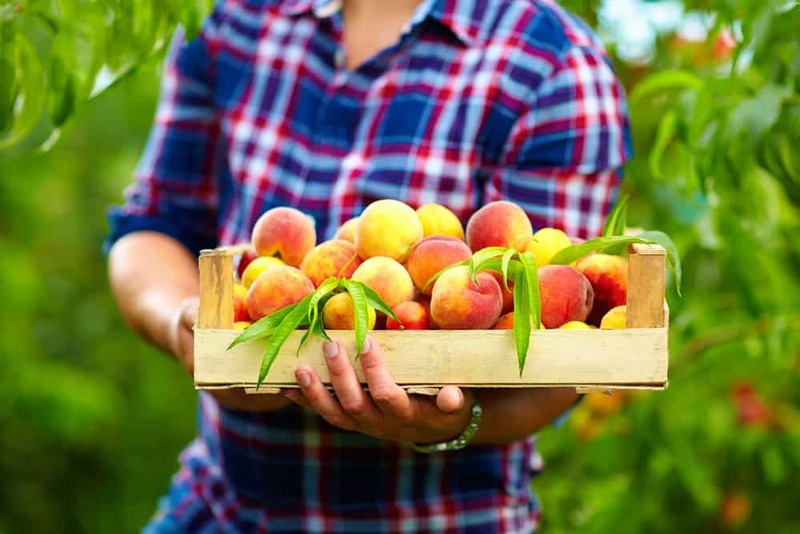 At the same time, peaches are refreshing and are able to revitalize you, boost energy levels that you can use for better and more effective workouts. This article provided a number of reasons why you should eat more peach. This delicious fruit is highly nutritious, allows you to manage weight properly, improves heart health, aids body detox, protects the heart and so much more. Bearing in mind that we need to eat more fruit to remain healthy and strong, you won’t go wrong if your go-to fruit is peach. The good thing about peach is that you can eat it on its own, include in smoothies and shakes as well as many other recipes. Options are truly endless.